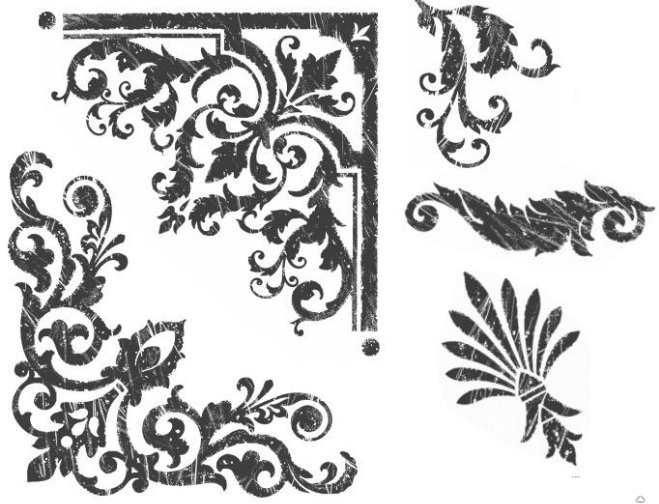 I stamped the images onto Olive and Indian Corn Blue cardstock to create my own pattern paper. I used one of our new colors - Saddle (Z2171). 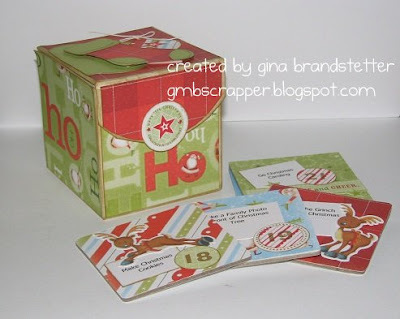 I used a card pattern from our new How To publication - Make it From Your Heart (9035). Next, I wanted to try out our new pigment inks! I used Indian Corn Blue and Olive to stamp onto our new My Creations Canvas Journal (Z1774). The journal was very easy to stamp on with our new pigment inks! Remember! This stamp is available ONLY during the month of August! You can purchase it for just $5 when you purchase $50 in Close To My Heart products! 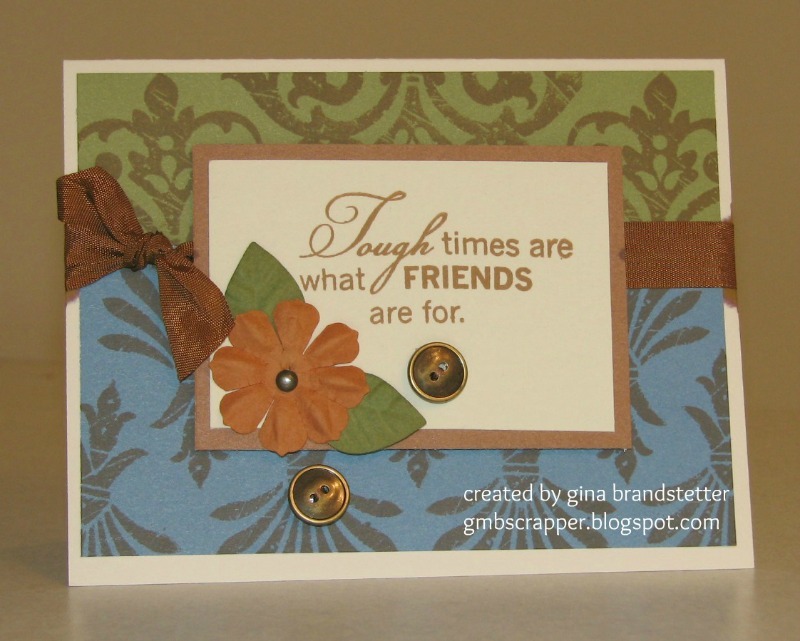 Now, hop on over to Angel's blog and see what she has created for you! Perfect Pair - 2 DAYS ONLY! We are rounding out this HOT HOT July month with TWO cool winter themed Perfect Pairs to choose from! Oh how I long for cooler days. I'm so over the 95 and up heat that has hit us this entire month of July. I got in my car to go home the other night and it was 90 degrees at 9:00 PM! Enough of the heat - let me tell you about our LAST TWO Perfect Pairs you can choose from when you place a $75 order on my website! First we have Wonderland. So pretty! I can almost feel the winter snow... Ok, not really but wishful thinking doesn't hurt. This Perfect Pair is the Wonderland Level 2 Paper and the Wonderland Stickease assortment. On the back of the stickease are different layout suggestions which are great if you have trouble deciding how to get started. Here are a few of my favorite cards I created with this paper. The second Perfect Pair you can choose for FREE when you spend $75 on my website is the bright and cheery Believe! I LOVE this paper. It is paired with the Holiday Pockets. These are great for gift tags, gift card holders and sweet notes. For even more ideas, you can search "Wonderland" and "Believe" on my blog and find everything I made using these two paper packs. I have a feeling these two Perfect Pairs won't hang around long! This is WHILE SUPPLIES LAST! Before you begin shopping, check out my Retirimg Items page. These items will no longer be available after July 31. Close To My Heart's 6 NEW COLORS! SADDLE came riding in on a fast, galloping horse and stole my chocolate lovin' heart. I said, "RUBY, don't take your love to town. Sit a spell with me over a glass of CHAMPAGNE, and I'll tell you about my new CASHMERE while you talk about your new SLATE (tile). Let's keep it to a WHISPER so the other folks won't hear. Yeap! These are Close to My Heart's 6 New Colors! I've already used Slate and Saddle. Both are great but like my fellow sister Consultant says above, Saddle stole my Chocolate lovin' heart! These colors will all be available to order on August 1. These colors are already gone - Holiday Red, Dutch Blue, Heavenly Blue and Spring Iris, Amethyst and Petal. Be sure to check out my Retiring Items page on this blog to see ALL the products that will be unavailable after July 31. The phrase "SOAR" with the fluttering butterflies was perfect for this paper. I added some additional butterflies that I cut with my Art Philosophy cricut cartridge. I cut them at 1" and 3/4" and layered then added a Pearl adhesive gem. Beautiful! Here are more pictures of my Extravaganza Art that I created for our Close To My Heart Convention last week. My assigned paper pack was Moonlight. 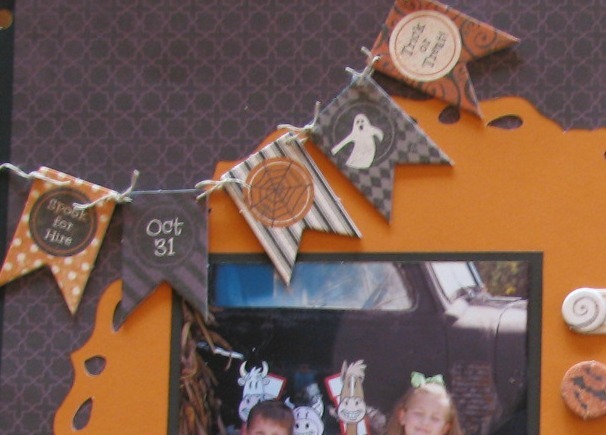 This paper has an enchanting feel that is great for your pictures for that spooky October night, or maybe a trip to a pumpkin farm. I chose to create a layout for fun day at a Pumpkin Farm. Since my girls have outgrown Halloween and pumpkin farms, my good friend Jana let me use pictures of her adorable girls for these layouts. This was a quick and easy layout because I used the Moonlight Dimensional Element Compliments and no stamping was involved!! The big circle on the left page is one of the new doily shapes from thee Artiste Cricut CartridgE. This was cut using the "1"<Accent 3> key. I also used Natural Hemp (Z280) and bling from the fun new Haunted Assortment! Check out the cute banner I made using the Moonlight Compliments and hemp! Moonlight Paper (X7161B) This pack includes the 6 sheets of paper shown below and also 2 sheets each of Goldrush and Black Cardstock, 1 sheet Slate Cardstock and 1 sheet Smokey Plum Cardstock. CONTACT ME FOR YOUR COPY OF THE NEW AUTUMN/WINTER IDEA BOOK! Time for a new Perfect Pair! Today it is Mayberry! Another one of my favorite paper packs. But wait.... I seem to say that alot. I think that is what I say about nearly all of the paper packs that Close To My Heart comes out with. Look at this card I created with Mayberry and July's Stamp of the Month - Live Out Loud. Yes.... I LOVE this paper all over again! I cut the flowers from B&T papers using my Art Philosophy Cricut Cartridge. I added Mocha Opaque Adhesive gems to the centers. Here is one of many posts that I will be posting to show my Extravaganza Art that I created for the Close To My Heart Convention a few weeks ago. This was my first time EVER teaching at Extravaganza. Although the time I had to create was short and just a little bit stressful before convention, I LOVED getting the chance to talk about something I loved. The artwork by the other teachers was just AMAZING and I felt really humbled to be 'one of them'. I hope that I get a chance to do it again next year if I decide to apply again. I'm going to be sharing over the next few weeks the many items that I created. My 'assigned' paper pack was the new Moonlight kit. This is a Halloween themed paper. When I first got my assignment I thought.... "Oh no! My girls have outgrown Halloween years ago!" 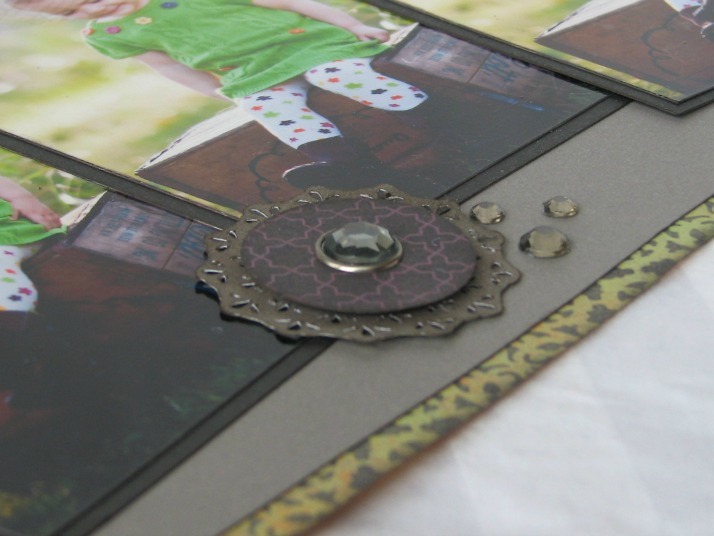 I was lucky enough to have a friend with 2 adorable little girls that let me use her photographs for some of my layouts. I tried to show ways to use the paper in themes other than Halloween. So, to start off, I'm going to share some Non-Halloween themed items. I think this layout here was one of my favorites. The Moonlight paper pack features one of our new colors: Slate. I used our new Black Tulle Ribbon (Z1798) to tie around the page and gathered it together with a Black Rose from the new Boutique Assortment (Z1763). I left an opening behind the Slate Cardstock at the top so that I could insert a journaling tag. The tag was cut with the new Artiste Cricut Cartridge (Z1790) using the "2"<Accent 1> key. I cut it 2 times, setting the measuring 1/4" smaller for the B&T piece. The slate center of the tag is cut using the "@"<Accent 1> key. I used our new Black Grey Sparkles (Z1754) for accents. Another Boutique assortment 'bow' gathers the black tulle together at the top of the tag. I cut a 2" doily using the "1" <Accent 1> key and layered it with a 1 3/4 circle of B&T paper and then added a cluster of Black & Grey Sparkle Assortments. The center of the medallion is a rhinestone from the Haunted Assortment (Z1741). All of these products will be available August 1. You will be able to see the new Idea Book on my website at that time. If you would like to have a copy of the Autumn/Winter Idea Book, please contact me. Please come back soon! I have lots more to share! I know you have all been waiting for news from convention. I tried to post most of the new product announcements on my Facebook page as they were being announced. There are so many exciting new products it was hard to keep up with it all! Although, I was teaching and had a little bit of knowledge of what was coming, I only knew a FRACTION of it! 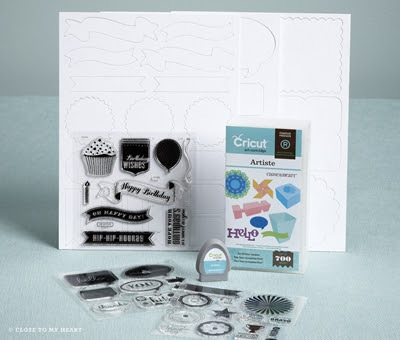 Of course the most exciting new product is our Artiste Cricut Collection! Just like the Art Philosophy, the Artiste collection ALSO comes with 3 exclusive D-size stamps and 3 sets of Dimensional Elements (Awards, Quotes and Album Pages). The Artiste cartridge has over 700 images and features themed projects. Cutting and assembling the numerous 3-D items is a snap using the project reference chart and separate, step-by-step assembly booklet! I got the privilege to use this cartridge as I was preparing for teaching at Extravaganza and I will tell you..... It is a MUST have for everyone that loves to use their cricut!! We have 62 NEW stamps sets! 15 of these coordinate with the Artiste collection, and we have 10 new stamps for the Art Philosophy cartridge! We also have 6 new colors! Five of our Neutral colors have been updated with the trends and we've added a beautiful RUBY color! We replaced our old markers with some FABULOUS Alcohol markers! I got to use these at convention and LOVE them! They blend beautifully! Other new products.... 8 new paper packs, 8 new Workshop On the Go scrapbooking kits, TWO new Workshop On the Go Cardmaking kits, a Scroll Album kit, an Advent Box kit, and a Spooky kit for creating everything you need for a fun Halloween party! We have added 53 new accents! Plus, we've got new bulk ribbon! - Black Tulle, Slate Polka Dot Satin, Shimmer Trim (Adhesive on the back! ), a wide Black Striped Grosgrain ribbon, Burlap and Colonial White Rosette Ribbon! I could go on and on but you will have to just see it for yourself! If you live local to me, mark your calendars for my annual Fall Winter Open House! I'll have many of the products displayed for you to see! PLUS, I'll have lots of clearance items! We'll do a fun make & take, I'll demo the new Artiste Cartridge and of course, there will be cool door prizes to win! Watch for more details coming soon! Stay tuned! 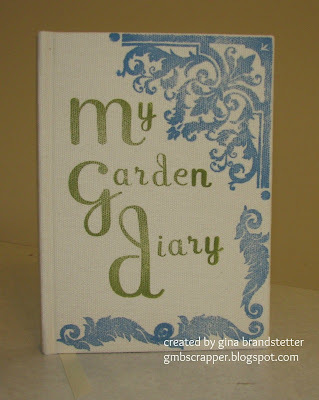 I'll be sharing many of my Extravaganza Projects here on my blog! Head over to my Retiring Items page to see what is retiring July 31. I have a COMPLETE LIST of everything that is retiring. If there is something on this list you want, get it before it's gone for good! When I starting looking for my Lucky paper to make a card for the Perfect Pair special, I had a hard time finding it! That's because I used nearly every scrap I had from this pack. I got my very first glimpse of this paper before it was released to the public when I went on the Close To My Heart Spa retreat. This paper is perfect for fall and masculine projects! Here is my card I made using Lucky paper and this month's Stamp of the Month - Live Out Loud. CTMH Reveals new Artiste Cricut Cartridge! Howdy from Dallas! I am finishing up my first day of our annual convention. Let me tell you it has been one very exciting day. The new products are phenomenal! How do they do it? One of the most asked question was answered today. "Are we getting a new Cricut cartridge?" that answer is YES!! I am so excited about this! I got to use it while I was creating my art for Extravaganza. Just like our Art Philosophy collection this new Artiste Collection comes with three exclusive stamps and three sets of Dimensional Elements. This cartridge has 700 images!! It features themeed projects, interactive cards, awards and more. It has cupcake liners, robots, spooks, invitations, party favors PLUS a new font! Cutting and assembling the 3-D items is way when you use the project reference chart and the separate step by step assembly booklet! Head on over to my Stampinheaven Facebook Page for more convention announcements. I wil try to post more to my blog soon! Check out the card I made with this Perfect Pair below! Remember! This offer is good only July 11 - 15 or WHILE SUPPLIES LAST! Start shopping my website and grab your perfect pair today! Start shopping HERE. Count Down to Dallas - 2 DAYS! Just two more days until I leave for Dallas! I finally finished all my Extravaganza Art and have carefully packed it into a carry-on piece of luggage. I'm not letting this suitcase out of my site!! Go on.... keep looking - you won't see anything here! It's all wrapped up and tucked away! There are just a few things I have to put in checked luggage because 1. They wouldn't fit. and 2. I was afraid they wouldn't be allowed as a carry on item! You will see what I'm talking about when I get back. I'll be sharing all my art work over the next few weeks and also at my Open House. If you are local to me - you'll want to be sure and mark your calendar for August 11th! I'm very excited about that and can't wait to share all the goodies coming in our Autumn/Winter Idea book! I'm not sure I'll be blogging while I'm gone - although I have some posts scheduled during this week to highlight our Perfect Pair special and the July Stamp of the month. Be sure to stop back by to see what I'll be sharing! I will be posting to my StampinHeaven Facebook page so be sure to check in on that. If you don't want to miss anything - LIKE my page and you'll get my updates in your News Feed. 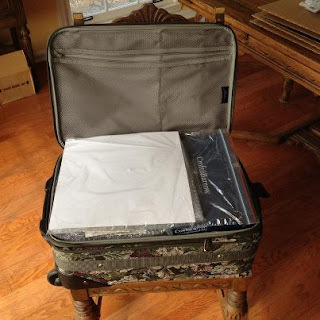 Ok, I'm off to finished packing! This week's Perfect Pair is Dreamin'. 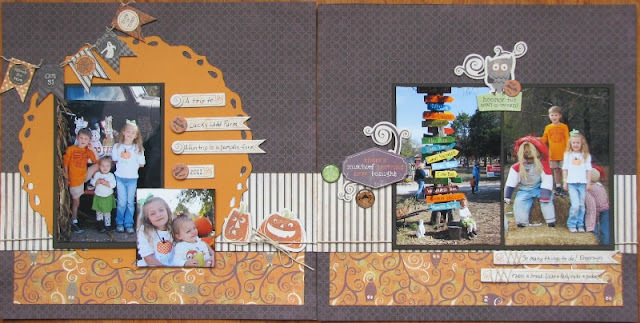 This was one of my FAVORITE fall paper packs from the 2011 Autumn/Winter Idea Book. I used nearly every bit of paper from this pack. For our Perfect Pair we are pairing this paper with the Harvest Charms. You get 6 beautifully embossed adhesive backed charms with this set. I've used July's Stamp of the Month - Live Out Loud for this 6x6 Kraft card. I cut the flowers using my Art Philosophy Cricut Cartridge and added Round Studs to the flap.